The reaction comes after Thunder Bay police say they charged 90 people with impaired driving in the first half of this year. 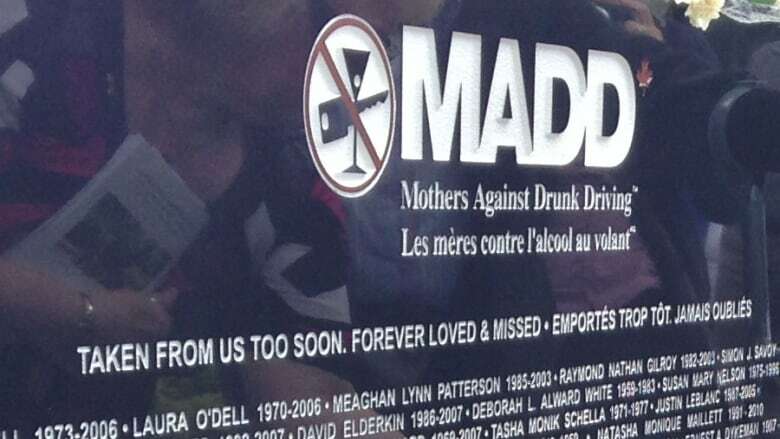 Officials from Mothers Against Drunk Driving Canada says a combination of education, enforcement and legislation is needed to curb the number of impaired drivers on Canada's roadways. Earlier this month, police in Thunder Bay, Ont., said they charged 90 people with impaired driving in the first half of 2018. Police say, those numbers have increased in recent years. Steve Sullivan, victim services manager with MADD Canada, believes it is important to educate people about the dangers of impaired driving through PSAs and in-school sessions. He said people do not usually go out with the intention of driving while impaired, but the influence of alcohol makes them question their own thinking process. "One of the challenges with impaired driving is that it involves people's impairment," said Sullivan. "So if you don't make plans ahead ... your decision making ability comes a little bit skewed. So you're making decisions while you're actually impaired." "So its not a question you went out with the intention of driving while impaired, but as you're drinking more alcohol, you become impaired and your decision making becomes worse." He said places with a good availability of public transportation makes a difference in the amount of people who drive while impaired. "Public transportation, taxis, Uber — the more option people have the better it is," said Sullivan. "Where we see these rates higher than the average is often in rural areas where those options don't exist. So the fewer options people have beyond driving, than the higher the rates are of impaired driving." He says in the 80s and 90s, there was a reduction in impaired driving and he suspects it was due to the raising of awareness at that time and the social acceptance of driving after a few drinks dropped significantly. Sullivan says the recent passage of Bill C-46 by Parliament, which made it easier for police to demand breath samples, is something MADD supports. "Right now they have to have reasonable, probable grounds," said Sullivan. "With this new law, that will come into effect later in the year, police don't have to form that standard. They can just ask anybody at any time to give a sample." Sullivan said MADD is also concerned about the impact the legalization of marijuana will have on impaired driving statistics. The federal government recently announced marijuana will be legal on October 17.